Birth certificates are official documentation, certified by the state. At birth, every U.S. citizen is given a birth certificate and is entered into the U.S. record system. You need your birth certificate to prove your age and identity when getting a driver's license, applying for a passport, claiming government benefits and more. There is no way to get a birth certificate truly cost-free. However, you can usually search vital records online for free and order an official copy of the birth certificate you're interested in for a nominal handling fee. In most states, birth records for living people are confidential by law. Alabama, for example, keeps birth records less than 125 years old confidential to keep personal information safe and secure. 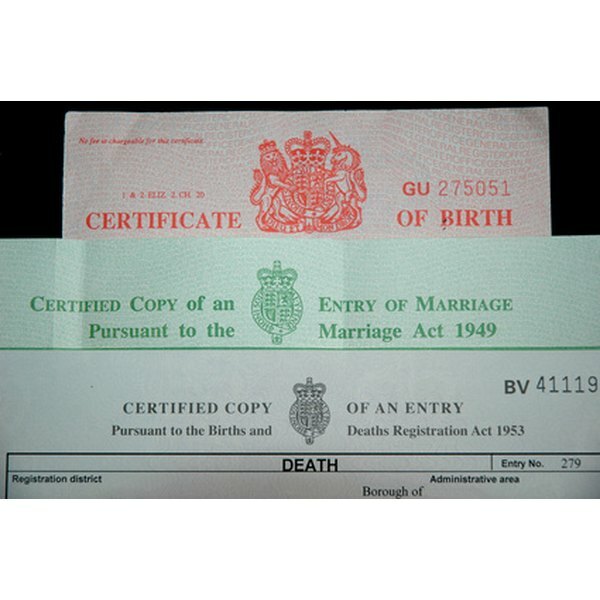 Generally, only the named person on the birth certificate or an immediate family member can apply for a certified copy of a birth certificate. You'll need to show photo ID, usually a driver's license, when requesting a birth record from the department of vital records. Some states partner with a third-party records management company to manage the issue of vital records. Florida, for example, has teamed up with VitalChek. You can order certified copies of Florida birth certificates online through the VitalChek website on an expedited basis; simply follow the instructions on screen. If no record is found, you will receive a certified "No Record Found" statement from Florida's Office of Vital Statistics. Other states offer a similar service. Citizens who were born abroad should have received a Consular Report of Birth Abroad, or CRBA, from the U.S. embassy in the country of birth, instead of a birth certificate. Order a replacement by mail from the Department of State's Passport Vital Records Section. Submit a notarized request with information such as the name of the person whose birth certificate you are ordering, the full names of that person's parents and the date and place of birth; more details are on the Department of State website. There's a handling fee of $50.